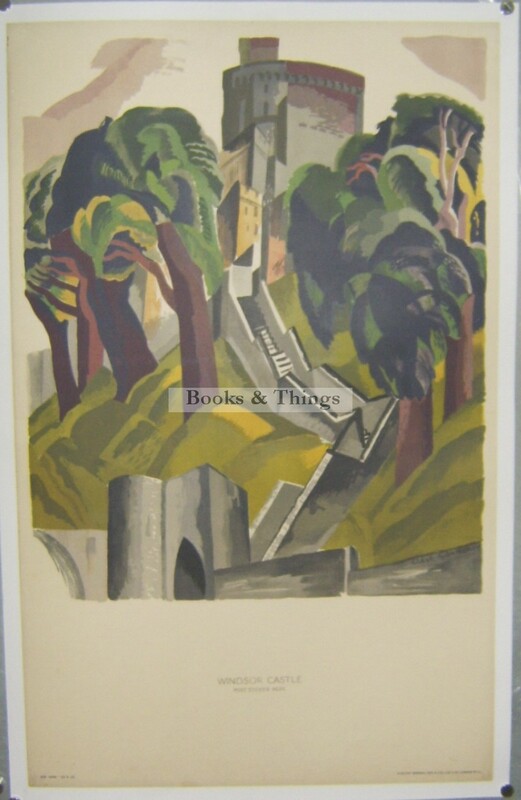 Clive Gardiner: Windsor Castle poster. 1928. 101 x 63cms (39.5 x 25 inches). Mounted on linen. A striking, almost Vorticist image. Category: London Transport Posters. Tags: Clive Gardiner poster, London Transport poster, Windsor poster.